These are really pretty slinky's, available in all plus & super sizes Large to 9x! (check measurements listed below). The slinky fabrics hang like a dream! They're a machine washable lycra blend. They're all available as either; shirts, jackets or dusters, and are customizable! 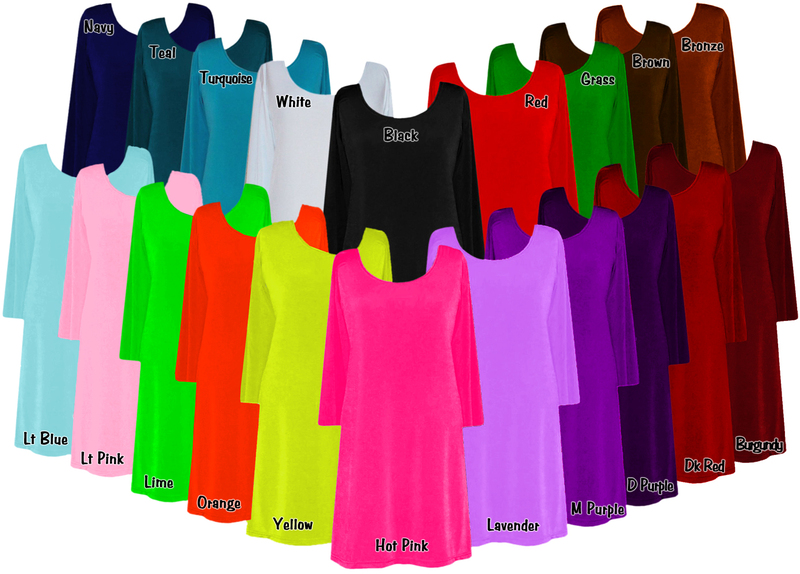 You can choose either long, medium, short, sleeveless, 3/4, bell or poncho sleeves, and you can also choose either a round, square or v-neckline! These slinky's are GORGEOUS!! Dress them up or dress them down, great for work or a night out, and they travel great!